Reviewing Goals - Lots of Tips from Professional Organizers! 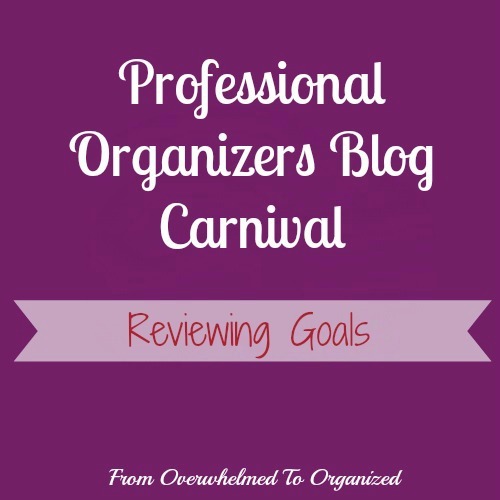 | From Overwhelmed to Organized: Reviewing Goals - Lots of Tips from Professional Organizers! If you're looking for other tips on setting goals, you can also check out my Time Management / To Do Lists / Goal Setting board on Pinterest! How did you do with your goals for 2014? What goals are you setting for 2015? If you've been successful at achieving your goals, what tips can you share to help us out?